An exciting NFL postseason went out with a whimper in the Super Bowl. Aside from the actual game, the lead-up to the event was marred by controversy surrounding anti-American anthem protester Colin Kaepernick. 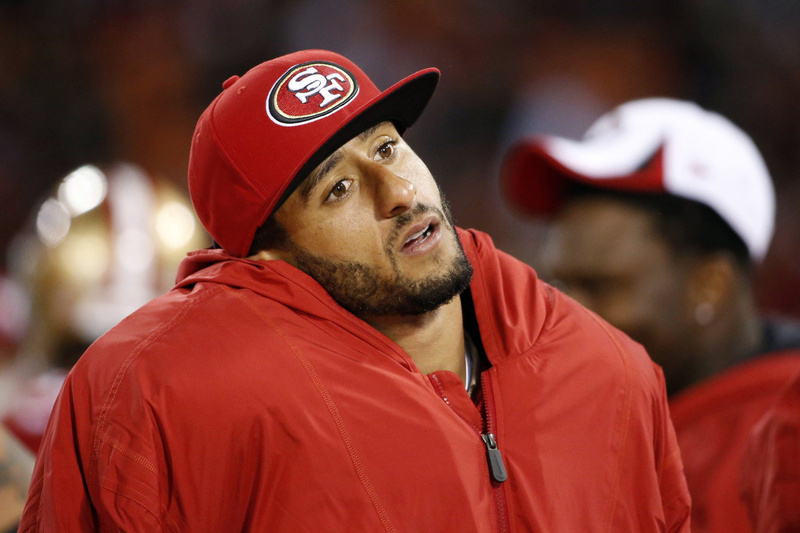 Now Kaepernick is thanking pop star Rihanna for one thing regarding the Super Bowl. Quarterback Tom Brady led the New England Patriots to victory over the Los Angeles Rams to claim his sixth Super Bowl ring in nine attempts, strengthening his argument as the greatest quarterback of all time. Despite Brady’s legacy-making game, he had to share the spotlight with another quarterback, and it wasn’t Rams quarterback Jared Goff. Colin Kaepernick continues to dominate headlines because of his admittedly anti-American position against the flag. Kaepernick hasn’t played in two seasons—and he was 1-10 as a starter the last time he played—but the mainstream media are determined to lionize him as a martyr in the fight for the nebulous concept of social justice. Kaepernick said he was kneeling to protest police killings of unarmed black men, but those tragic incidents are a small fraction of black homicides. There are approximately 13,000 homicides per year, and black people account for about half of that number. Out of 6,500 or so black people that are killed, roughly 30 are unarmed and die at the hands of the police. The leftist hysteria over rogue policemen killing black people far outpaces the actual data. The NAACP got in on the act and tried to remove the Star-Spangled Banner as America’s national anthem. Nevertheless, Kaepernick keeps getting billed as a civil rights hero, thus he’s being blackballed from the NFL. But his porous performance and divisive presence easily explain why no team has bothered to sign him. A few teams worked him out but ultimately decided to go in different directions. That hasn’t stopped the activist left from trying to shame an NFL team into signing him. Several artists—including Rihanna—refused to sing at halftime of the Super Bowl, but Maroon 5, Travis Scott, and Atlanta native Big Boi eventually agreed to perform. They faced backlash from the left, and Pink Floyd frontman Roger Waters even implored the halftime show performers to kneel in solidarity with Kaepernick. However, the performers denied the activists their wish and didn’t include any political messaging. Rihanna made it clear she refused to watch the game, and Kaepernick thanked her. The whole ordeal is incredibly self-serving. Since being “blackballed,” Kaepernick has been feted with various awards, signed a book deal with a major publisher, and appeared in a viral Nike ad. Kaepernick has grown his brand exponentially while accomplishing very little in terms of thwarting the “epidemic” of racist police killings. The failed Super Bowl boycott wasn’t about social justice. This whole drama has all been about his ego.